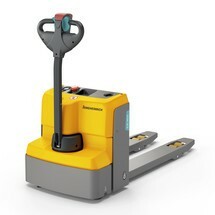 The CBD 15 is the economical entry product into the electrically powered category of low platform trucks. 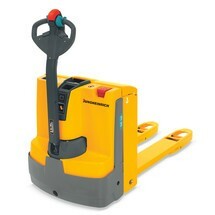 The electric pallet truck lifts and drives electrically, easing the operator's work transporting pallets and loads up to 1,500 kg. It is suitable for light applications in small and mid-sized companies with occasional transport tasks. With the CBD 15, the Ameise® brand offers an electric pallet truck for light applications for company-internal transport of goods. 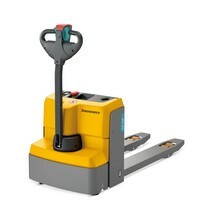 The 0.65-kW drive motor reduces operator stress for transporting pallets and loads weighing up to 1,500 kg over short distances. Loads are raised and lowered with the tiller handle, which can be operated from both sides. Proportional control allows for infinitely variable regulation of the travel speed. The centrally positioned Emergency Disconnect switch ensures reliable operation at all times. Thanks to its compact and narrow design, the low platform truck can be used in extremely confined spaces. The ground clearance of just 27 mm offers a high level of safety and reduces the risk of injuries in the foot area. The maintenance-free gel battery together with the on-board charger ensure flexible use. They eliminate the need for time-consuming battery water replenishment, conveniently charging the CBD 15 at any 230-V socket. 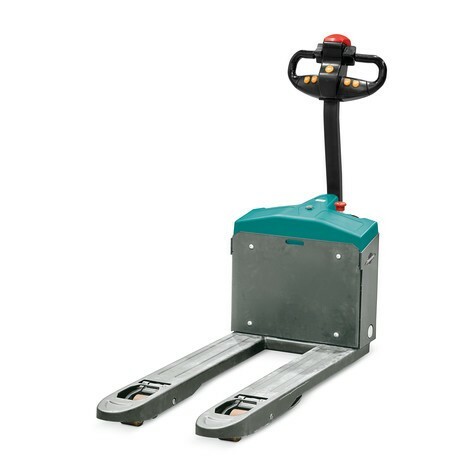 The drive wheel and tandem fork rollers are made of sturdy polyurethane and offer high-quality, comfortable and quiet driving plus maximum capacity and a long service life. 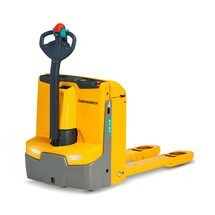 All Ameise® electric lift trucks are supported by Jungheinrich service. With more than 3,000 service engineers worldwide we guarantee a partner close to you and optimum spare parts supply. 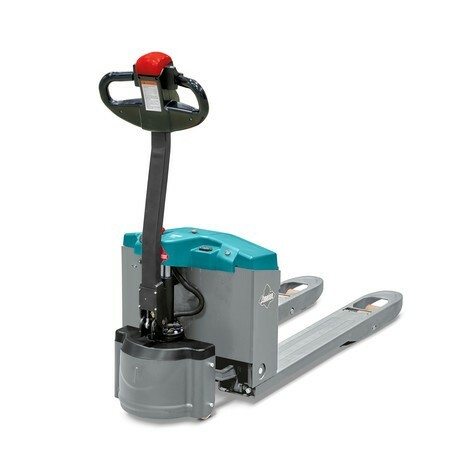 The Ameise® CBD 15 electric motor pallet truck is the most affordable entry model into the class of electrically powered low platform trucks. 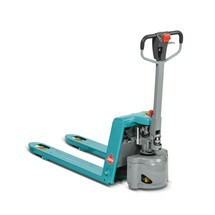 You can buy the pallet truck with special distance across forks from us here in the shop at the entry-level price.